The Usain Bolts, Asafa Powells, and Shelly-Ann Frasers that Jamaica produces in athletics are no accident. In my time volunteering here, I have found that there is a great deal of pride and competitiveness in Jamaica in regards to track and field. This is never more apparent then when the schools here keep their Sports Day. 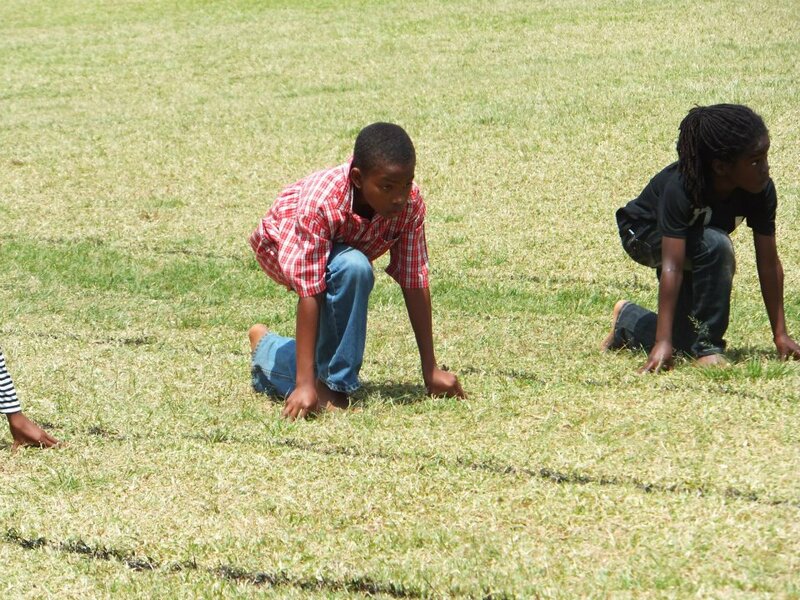 Every school, from pre-school to college students has a Sports Day where the student body is divided into houses and competes in athletic challenges, with a winner being crowned at the end of the day. I myself was able to participate in two Sports Days this year; one at the Catholic College of Mandeville where I serve as Campus Minister, and a second at St. Margaret Mary Basic a Prep School, where I teach computer, music, and physical education. The build up and hype to Sports Day was evident. It was only when I attended each that the passion and value of the day also became evident. The joy and thrill of competition was celebrated by all ages of athletes. Three year olds yet to master walking were not hindered in leaning to the finish line. College students recall the technique from their high school days in the well executed baton exchange. All took the field with pride and a sense of duty. Seeing this first hand on Sports day removed the mystery of why the Jamaicans will surely triumph at the track and field events in this summer’s Olympic Games. I know that they have cultivated a passion for the test of speed and strength, and an unmatched desire to compete. I know that they have been training for this their whole lives. Happy 2nd Anniversary to Comedor Infantil in Honduras!! "Latest Happenings in the Diocese of Mandeville" : Featuring PVI!